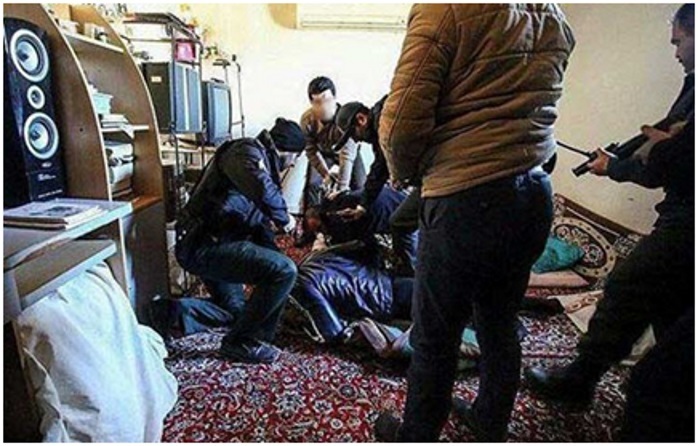 Raiding private ceremonies and night parties by the police has reached new dimensions in Iran. The most recent cases were arresting 34 girls and boys at a night party in Southwestern province of Khuzestan as well as organizers of another one in Tehran. Khuzestan revolutionary prosecutor-general announced on Sunday March 5 that 14 girls and 20 boys have been arrested at a night party in the province. A day before the police in Khuzestan raided a night party, Western Tehran Police Chief announced that police had raided a hen party. Events like this raise the questions among Iranian citizens and the international community alike of where the line is drawn between public and private space, between personal libertiesand public “order”, and between freedom and oppression. The IRGC’s ferocious enthusiasm in “catching” morally corrupt behavior leads them to practice surveillance techniques and “morality traps” that many would consider a serious breach on human rights. For one thing, reports state that the young men and women were discovered “mingling in a villa in the suburbs of Qazvin”. This statement fails to address the issue of how the youth were discovered and what personal infractions on their privacy may have been used in order to “discover” them in a private villa where they were assumed to be hidden from public view. No matter how the youth were discovered, every single attendee of the party was arrested, supposedly for dancing, and charged with 99 lashes. This violent and horrific punishment for attending a mixed gender party seems difficult for many in the west to even comprehend, let alone condone, especially after hearing the almost constant rhetoric that Iran is moving in a “moderate” direction under the rule of current president Hassan Rouhani. Certainly, receiving 99 lashes for attending a private party is not a symbol of moderation, of tolerance, or of compassion, but of authoritarian control, oppression, and inhumanity. This is not the only instance of individuals being arrested for mixing genders in private company. In July of this year, 150 youth were arrested for attending an “inappropriate mixed-gender” birthday party near the city of Tehran. Then, on Halloween of this year, Tehran officials “stormed a house in Sadat Abad quarter in Tehran in which 8 girls and 9 boys wearing traditional Halloween costumes.” On December 9th, 16 men and 8 women were arrested in Iran for the same alleged “crime” of attending a mixed company party; and just recently on December 14th, it was reported that Iranian authorities arrested 120 individuals who were attending a private party at a coffee shop where alcohol was allegedly being served. These arrests are said to be “the latest in an ongoing crackdown on mixed-gender parties that has resulted in the detainment of scores of young people in the past few months.” These “crackdowns” are not just limited to mixed gender parties. 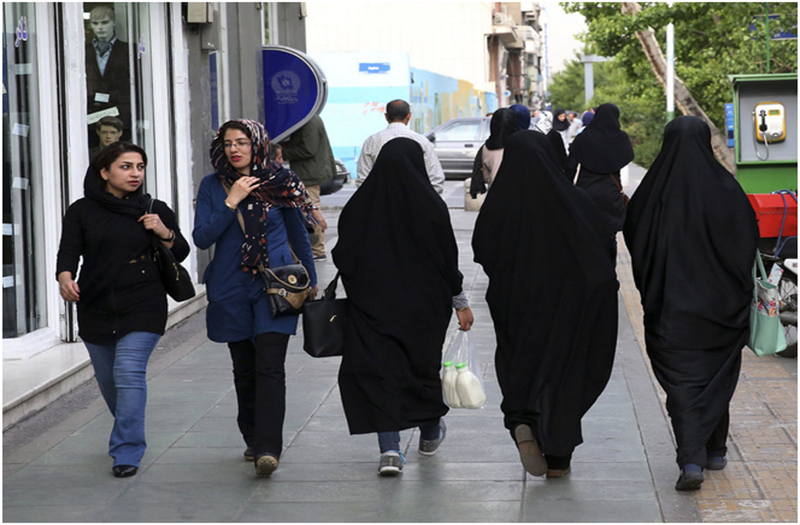 There have also been “crackdowns” on arrests regarding enforcing the hijab and strict dress code, an increase in arrests of Iranian dual citizens (often for no legitimate reason), and an increase in executions of political prisoners. All of these atrocities are being committed under the rule of Hassan Rouhani, leading many in the international community and in Iran to wonder where his image as a progressive and moderate leader is coming from. Many critics claim that in reality, the role of president in Iran is merely a figurehead position, as all major decisions must be approved by the Supreme ruler Ayatollah Khamenei, who is known for his strict and oppressive views on gender relations, human rights, and personal freedoms. Looking forward, if Iran hopes to make real progress integrating into the international community, a complete overhaul of the current oppressive government system will be necessary to ensure that Iranian citizens are treated with basic human dignity and respect.